When something stops working, you rarely get a heads-up. When was the last time you flipped a switch, only for your light bulb to give up the ghost? Or have you had a cold, frosty morning this winter when your car simply won’t start? Leave a reply on How much life have you got left? We recently ran a series of articles call the “Seven Deadly Sins of Gas Detection”. By highlighting the most common causes and effects of each ”sin”, we wanted to provide managers and employees with a greater awareness of what we believe are the Seven Deadly Sins of gas detection, how to avoid them and save lives. For the same reason, we are sharing them as our blog posts for the next seven weeks. What does your gas detector really cost? 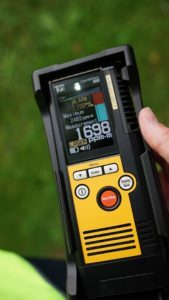 There are many things to consider when selecting the best gas detector, and cost is not the least of them. But how many of you consider total cost of ownership? Once the desired specification has been determined, there are likely to be a number of detectors, available over a range of purchase prices, that come close enough to meeting that spec to be considered. But the purchase price is not the only cost associated with owning a gas detector. There are also on-going costs of maintenance, which can be significant over the life-time of a unit. So, other than purchase price, what kinds of things should be considered when thinking about cost of ownership? Leave a reply on What does your gas detector really cost? The key to reducing risk – spend less time exposed to hazards! 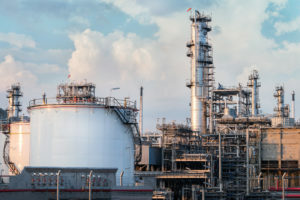 Technological advances, driven by increasing safety awareness, are providing opportunities to reduce detector maintenance and therefore also reduce the amount of time operators must spend handling detectors and transmitters in hazardous areas. Andy, Crowcon’s Senior Product Manager, has reviewed the benefits that these developments bring.